Wouldn’t we all like friendships and wonderful relationships that last a lifetime. Anger properly managed KEEPS THE RELATIONSHIP in good repair. It works hard not to break the relationship. It takes personal responsibility and avoids blaming the other person. There is a little proverb that says, A successful marriage isn’t finding the right person – it’s being the right person. What wisdom! I would take that thought a step further: A successful friendship isn’t finding the right friend – it’s being the right friend. In marriage, or in friendship outside of marriage, being the right person is what is important. If you are angry with someone, playing the blame-game will only destroy the relationship. You set yourself up as prosecutor, judge and jury, and your spouse or your friend naturally becomes the defendant. Patrick Morley, in his book, The Man in the Mirror, points out that Betrayal by a friend when done with malice is fair cause for anger. . . . Even so, our focus should be on avoiding anger. 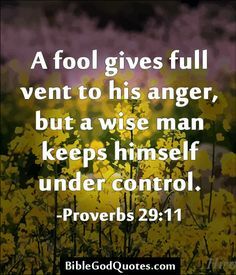 . . We should keep our anger under control and be patient. Think of the inverse of blaming and faultfinding-in actuality it is making excuses for oneself. It is the denial of blame in oneself. Making excuses for oneself destroys joy in any relationship. Remember that the very area of attitude, conduct or belief which a person is quick to criticize in another is often one’s own attitude, conduct or belief which he/she refuses to acknowledge. Over and over the scripture admonishes us to SEARCH OUT OUR OWN FAULTS honestly, be open to the changing work of God in us, and leave the shortcomings of our friend or spouse in the hands of God. LET NO CORRUPT COMMUNICATION PROCEED OUT OF YOUR MOUTH, BUT THAT WHICH IS GOOD FOR EDIFYING, THAT IT MAY MINISTER GRACE UNTO THE HEARERS. What a great motto for our daily lives! When followed, it can become a Warranty on all your relationships.